Last year, the UK’s third and fourth biggest poultry companies, Faccenda Foods and Cargill, joined forces to form a new joint venture, Avara Foods. Over the next three years, it will spend £100 million in automating its factories to combat a dwindling labour supply, and ramp up production of added value poultry. Inside the poultry processing plant at Abergavenny, Julia Phelps, the plant manager and Chris Hall, chief commercial officer of Avara Foods are walking the floor as turkey breasts are being sliced and packaged, moving down blue conveyors as workers place the product into packs, rearranging them to meet the weight requirements of different supermarket customers. Here 400,000 packs are dispatched to five major retail customers every day, with 255 staff operating the equipment. No turkeys are slaughtered here, they are transported from the Holly Bank plant in Derbyshire and then processed and packed here. The big challenge, says Phelps, is making turkey appeal as a year-round product. The firm has worked hard to broaden demand for turkey away from the traditional Christmas peak season, with sausages, meatballs and burgers all growing in demand. In an adjoining room, Phelps explains how the plant is gearing up for the warmer months. A £1 million investment in new equipment will handle the processing and marinating of a big range of new barbecue products, part of a wider strategy to make the most of darker turkey meat that traditionally has unpopular with UK shoppers. This plant, one of eight factories operated by Avara Foods, has changed hands frequently since it was opened in 1990 by Sun Valley. Back then it was a processing facility for turkey primals. In 2000 it was acquired by Brandons and converted for retail packing with three new lines. In 2003, Cranberry Foods acquired the plant and in 2012 the site was bought by Faccenda Foods, and in February 2018 when Avara Foods was formed it became the official owner of the plant. The £1 million investment in the Abergavenny site is part of the much bigger investment programme by Avara Foods. The joint venture was formed last year between Faccenda Foods and Cargill’s UK integrated poultry business. Hall was the former fresh chicken director for Cargill Meats Europe. Andy Dawkins, the former managing director of Faccenda Foods has now become the chief executive of Avara Foods. 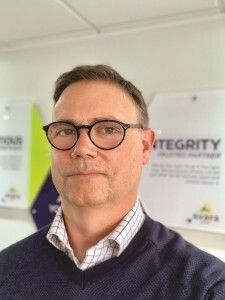 The two directors now work together across the company’s seven processing plants, one ready to cook facility, three feed mills and seven hatcheries. When the joint venture was announced in early 2018, it was a surprise. But Hall says the two companies had been in talks for quite a long period before. As the third and fourth biggest integrators in the marketplace, they both were struggling with how best to grow and compete with the two leading integrators 2 Sisters Food Group and Moy Park. “Both businesses had a similar outlook in what they were trying to do in the poultry industry,” says Hall. “Our customers have by and large been with us a long time and have a lot of confidence in what we do, so there were a lot of similarities in how the businesses operated. “Both of us have been conscious for some years that to an extent scale is important and not least because we had opportunities to grow with our key customers. But it’s harder to grow from a smaller base. Avara Foods now processes 4.5 million chickens per week, plus a smaller number of turkeys and ducks. This is out of a total number of roughly 20 million chickens that are processed in the UK each week, making Avara Foods the third biggest processor in the country. A major boost to the new joint venture was winning a new contract with Tesco to become its primary fresh chicken supplier, taking over from 2 Sisters. Hall acknowledges it’s unlikely Faccenda or Cargill’s UK poultry business could have won such a significant contract acting alone. “Coming together as the two businesses has given us the platform to step up to meet those opportunities that probably we wouldn’t have if we hadn’t come together as Avara. It gives you the scale and the scope to take some of those opportunities when they come along,” says Hall. “It’s one of a number of customers we are focussing on developing in that way,” he adds. Key to that goal is investment in machinery, equipment and plants. Prior to the joint venture, both businesses had upgraded some of their facilities. The Telford cutting and packing facility, formerly a Faccenda site, had had an investment of around £45 million to make it more efficient and with a focus on improving productivity. Cargill had spent a similar amount modernising its Hereford facility with new chilling, eviscerating and stunning lines. 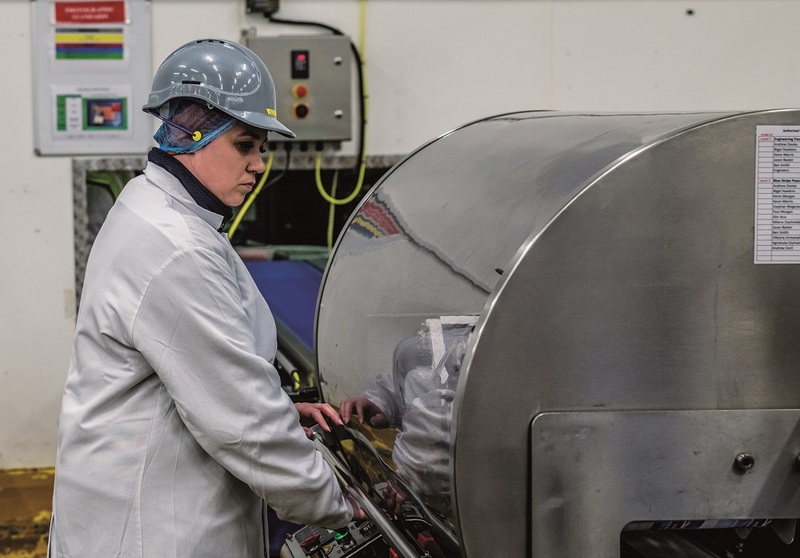 Avara Foods will be spending at least £100 million over the first three years automating more processes and improving productivity, says Hall. At Brackley, the biggest of all its processing plants, handling two million chickens per week, new chilling and evisceration equipment will be installed to complement the new packing operation in Telford. In Hereford, where 1.85 million chickens are processed per week, more investment will focus on cutting and packing. “Some has already come through, and some will come through in the next 12 – 18 months. There is the £1 million plus investment at Abergavenny, which although on a smaller scale to some of those other investments, is just as important in creating the platform to allow us to move into added-value areas,” adds Hall. And because Avara Foods is an integrated business a further investment in its feed mill is also taking place. “We’ve got the biggest feed mill in the UK just outside Hereford,” says Hall. More than £10 million has been ploughed into upgrading the mill in the past year, and more is to come. Built by Sun Valley several decades ago, it has grown steadily over the years. “We’ve gone through a process of future proofing it by upgrading all of its key equipment, so we are better able to not just produce more volume but produce better quality pellets and produce feed formulations in a better way,” says Hall. At Abergavenny, the focus is on growth through added-value products. The firm doesn’t cook or bread or batter poultry, instead it adds flavour or makes products more convenient. Selling marinated products also helps answer one of the biggest challenges faced by poultry processors: how to balance the carcase. “In a market like ours where breast meat is predominantly what people want, part of our job is opening consumers’ eyes as to how to use the rest of the bird. Another challenge facing all food manufacturers is the increasing pressure to reduce plastic packaging. Removing trays from more poultry products is one possible way forward. “Not for all products, but for some products,” says Hall. “We’ve got to find out though if consumers will be happy with that. What is their perception of the quality of that product? A large part of buying meat is assessing the quality. But when you put against using significantly less plastic and if it could be more convenient, maybe make it resealable, would consumers prefer that? This means Avara has had to think seriously not just about automating as many processes as it can, but how it can tempt the workers it has to stay put. At Abergavenny for example, a new canteen and toilet facilities are being installed, along with a mural and some art work on the walls. Training is also crucial. “Partly to bring new people in and partly to benefit the people already in the business we run a number of apprentice programmes to upskill the people we’ve already got. We’ve got around 40 people going through apprenticeships at the moment in all areas from engineering, technical, operations, agricultural skills and we also have people doing apprentice degrees at Harper Adams. Those are vital to provide the skills we need in the business as we grow and also [to combat the fact]the meat industry may have a bit of a stigma attached to it. Another challenge inevitably is the uncertainty surrounding Brexit. Avara Foods trades throughout Europe, balancing the carcase by selling a large proportion of dark meat to other countries. Hall is optimistic, but craves some certainty, echoing the concerns of numerous other business leaders. “We pride ourselves as a business as being pretty adaptable and given time we will adapt to whatever the outcome may be,” he says. “The main issue we have right now is just the lack of certainty over what’s going to happen. “There are a few areas, particularly the movement of short shelf-life product across borders, that particularly concern us. You don’t have to have too much of a delay at a border before you’re just not able to move chilled product across borders. Something he seems more relaxed about is the possibility of a US trade deal. At the time of my visit, the US ambassador to the UK, Robert Wood Johnson had caused a stir by describing European methods of farming as being akin to a ‘museum of agriculture’ compared to the US.